Offline : At the venue during the program days! 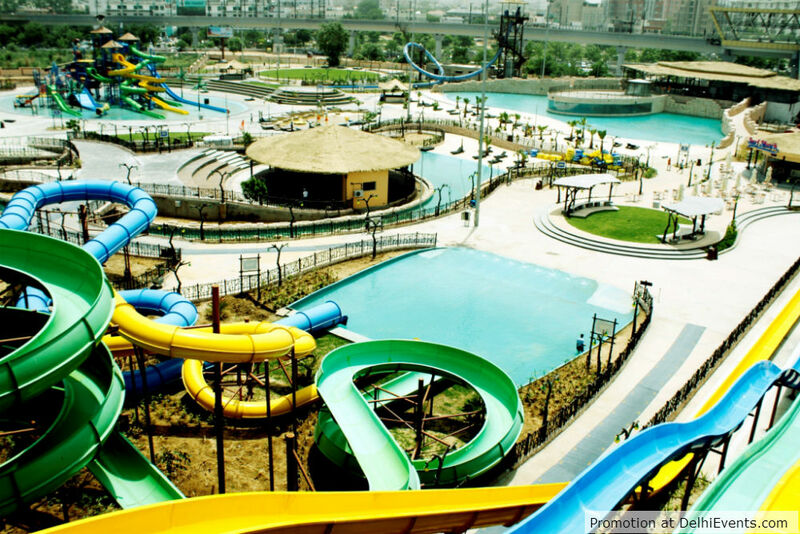 About Appughar Water Park Gurugram (Earlier it was called 'Oysters Water Park' then 'Oysters Beach') : India’s favorite amusement park ‘Appu Ghar’ is back with O.Y.S.T.E.R.S Beach. With a prime location near Huda City Metro station and spread across an area of 10 acres, the state-of-the-art ‘Rain forest’ themed Water Park boasts of never-seen-before signature rides which are unique to India and are just amongst a few in the world! We open our gates to hub of thrilling water rides for all age groups, rain dance, unlimited fun and excitement, variety of food cuisine and beverages. The perfect and complete entertainment destination for you, your friends and family! Oh My Gurgaon - A thrilling ride where riders will be dropped from a launch chamber into a 45 degree loop with water gushing at a speed of 60 km/hr, First Time in India from Canada. Free Fall - For the adventure junkies this wild 90-ft slide is sure to give you an adrenaline rush, The Fastest, Steepest and Tallest Water Ride in India. A wide array of cuisines in the form of Food Court, Restaurants, Shacks & Kiosks which will guarantee to tempt your taste buds! Sir if you provide meal we will give extra charge. What will be the charges on Monday, 22nd May, 2017, for about 10 moms n 14 kids (we want a deal with meals). What will be the charges on Saturday, 27 May, 2017, for the same. Is there any couple entry price? It is for Arpil 3, 2019. Let me the price if there is for couple entry.